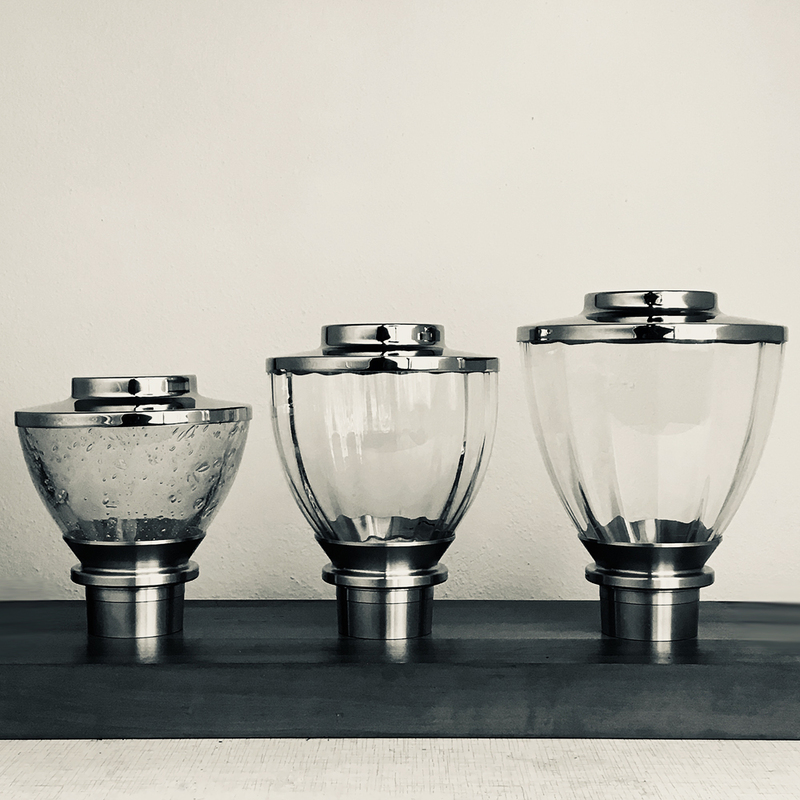 There are many reasons to use a short hopper or TORR glass hopper for your coffee grinder and even some good reasons to use a very short hopper. First of all, it´s about the grinder and its design or the set-up. However, at the end of the day maybe the taste in the cup, the available space, or the practicability might be more important for some baristas. Having this in mind we reduced our smallest hopper a little bit more to get the "XS" glass hopper which holds approx. 250g of beans. It can be used also for Single Dosing if you like. The glass is approx. 11 cm / 4 1/3 " high from the top of the grinder (upper burr holder - top level). The final measures depend on the grinder and adapter. For the lid on top, you can add another 2,5 cm / 1 inch to get a total of approx. 13,5 cm / 5 1/3 inches. For those who need the 5-inch maximum height, we are going to make a shorter lid without a small handle section. Please find a small selection* which can be used for sure under a cabinet with a height of 18"/45 cm which is the standard for some countries and areas.